Avengers: Infinity War was the massive crossover that we all loved. It had so many elements that it was a real task to take all that in at one go. So much was happening all at once that there were so many details here and there that people obviously ended up missing. Now that the movie is out for BluRay and Digital HD, the viewers have been able to watch the movie frame by frame figuring out every little detail in the film. These days all the Directors are very particular and they hide sharp and edgy details in very small scenes as well. 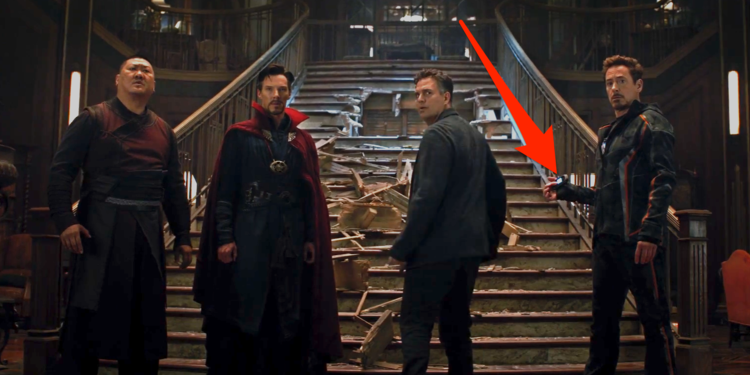 The Russos are no different as we do end up finding Easter Eggs and References from the source material and other movies which make the movie even more fun to watch a second or a third time. 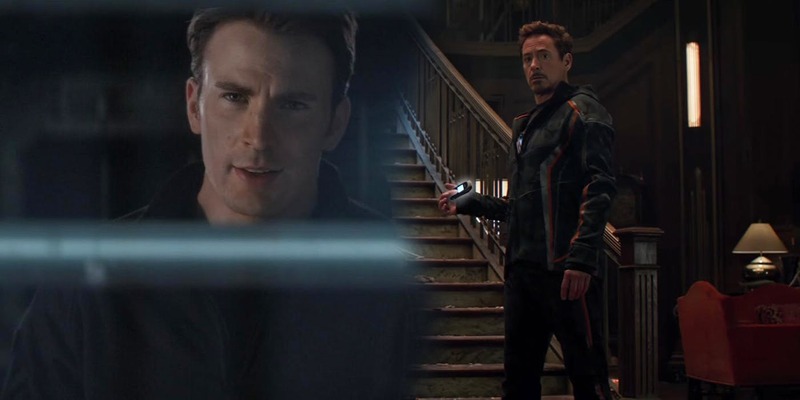 One little detail that has now made its way to the internet shows that there was more to do with the phone that Cap gave to Tony back at the end of Civil War. Civil War was the movie that really set up the Phase 3 of the MCU. It obviously had the heroes of MCU divided, but still, the ending gave us a feeling that the stakes were maybe not as long lasting as we might have thought. After a rough ending between Tony and Steve, he decided to stand tall and accept all responsibilities of whatever he has done. He still offered a helping hand by sending Tony a flip phone. 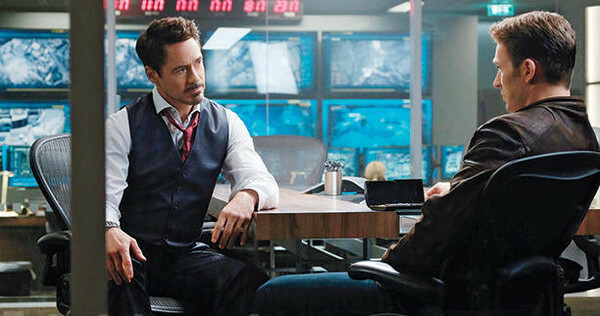 In Infinity War, Tony was finally going to use that phone and call Steve in order to know Vision’s status for the upcoming crisis. If you notice clearly over here, there is an unread text that Tony might have received from maybe Cap himself, and the signal shows that the phone is either sending or receiving a file, which means there is more to this little phone sequence and some light may be shed upon it in Avengers 4. This unread message would obviously not be one of those irritating ones which all the phone companies send as this is a story that hides big plot points in little details. There could be something surprising hidden right here. We would only find out about that when Avengers 4 comes out next year. Till then let’s just sit tight and enjoy Avengers: Infinity War again and again. this was the first movie where the heroes actually lost against a mighty villain that has never been witnessed on the big screen in this way. 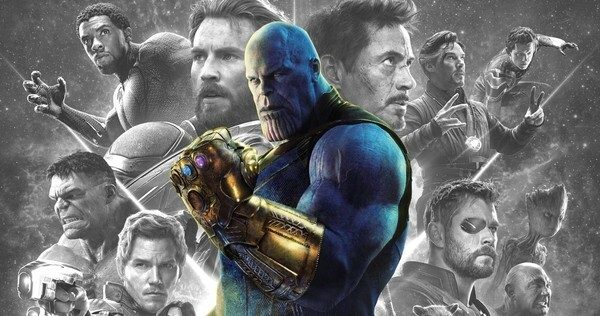 Thanos may be a little damaged by now, but the heroes that are still alive are going to finally unite and give Thanos the beating of his life (even though he still has the Infinity Stones). 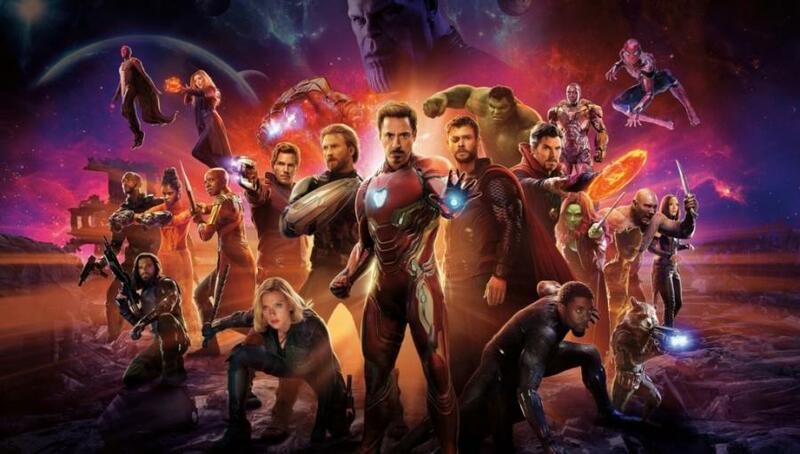 Avengers: Infinity War is currently playing in the theaters and it involves a huge cast starring Robert Downey Jr., Chris Hemsworth, Mark Ruffalo, Chris Evans, Scarlett Johansson, Benedict Cumberbatch, Don Cheadle, Tom Holland, Chadwick Boseman, Paul Bettany, Elizabeth Olsen, Anthony Mackie, Sebastian Stan, Tom Hiddleston, Idris Elba, Danai Gurira, Peter Dinklage, Benedict Wong, Pom Klementieff, Karen Gillan, Dave Bautista, Zoe Saldana, Vin Diesel, Bradley Cooper, Gwyneth Paltrow, Benicio del Toro, Josh Brolin, and Chris Pratt. MCU Battles – Who Would Win in Arm Wrestling, Chris Evans or Chris Hemsworth?